Sistas Are Doin’ It For Themselves!!! See their images…hear their stories…Saturday, April 17, 2010 – 6:00 p.m.
Saturday, April 17, 2010 starting at 6:00 p.m.
Moderated by Lydia Martinelli, Filmmaker and Producer. The Filmmaker Showcase and Discussion too place at Raleigh Studios, 5300 Melrose Avenue (650 Bronson Ave.), Hollywood, CA (Melrose & Van Ness / across from Paramount Studios) Chaplin Screening Room and reception followed. To RSVP – 310.284.3170. The cost is only $10.00 and parking is $4.00 or ample street parking is available. Featured Female Filmmakers for 2010 include: Camille Brown’s Thank You For Washing; BJ Rouse’s Queen Victoria’s Wedding; Rosalyn Williams’s B.F.F. ; J.D. Walker’s The Postwoman; Veronique N. Doumbe’s The Birthday Party; Kena Tangi Dorsey’s Jump The Broom: A Musical; and Evita M. Castine’s Free Meal. BHERC will also screen a trailer of Moderator Lydia Martinelli’s reel. Moderator Lydia Martinelli not only works behind the camera as a director but behind the scenes as an executive producer and producer. Martinelli and Clinton H. Wallace formed Lane City Films (“LCF”) in 2004, under which Martinelli directed Cielo Drive, Leverage, Layla, Slicing Time, Whiskey Neat, Nose Candy and produced feature film Lauren Hildebrandt. Martinelli’s genre of choice leans more on the action side that let her to collaborating with Academy Award winning stunt coordinator Scott Leva on the project Layla that led to an award nomination for 2009 Best Female Filmmaker. Lydia was on the producing team for the award winning Her Need for Speed ad for Harley Davidson motorcycles. Lydia has also worked for the best of the best: Cunningham Escott Dipene/NY and Broadway Video/NY (home of Saturday Night Live), Creative Artists Agency/L.A. – TV literary, International Creative Management/L.A. – motion picture literary and music departments, and a short stint at HBO/L.A. working for the VP of Development. Lydia served as Chairman of Alliance of Women Directors’ Television Shadowing (Mentorship) Program 2007-2009 where she arranged, organized & placed emerging directors to be mentored on episodic TV: HBO Entourage, CSI Miami, 24 and Jericho. She has also directed national and regional commercials. These Sistas’ are daring to challenge the traditional conventions of “Hollywood.” These Sistas’ aren’t waiting to be recognized; they are writing, creating, filming, directing, editing, acting, promoting and doing it for themselves!!! 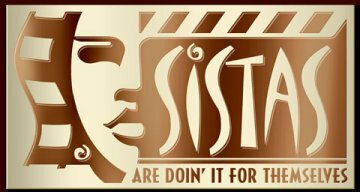 “Sistas…” began seventeen years ago as a call to the entertainment industry to acknowledge that there is grand talent amongst African American women filmmakers. What began as a simple screening and discussion became one of the most recognized inspirational and emulated events of the Black filmmaking community. It is a clear-cut concept; a screening of short films written and/or directed by some of the nation’s top filmmakers with a dialog following. Past “Sista filmmakers” have included works of Gina Prince-Bythewood (The Secret Life of Bees, Love & Basketball), Kasi Lemmons (Eve’s Bayou), Yvette Freeman (ER), and Dianne Houston (first Black Female to be nominated for an Academy Award / Short Film category) just to name a few. Many of these filmmakers have received high honors and recognition for their achievements and breakthroughs in filmmaking. · First Weekend Club ~ announcements for screenings of Films by African American Artists are sent our via email weekly. For event information, contact John Forbes at 310 284-3170 or email bherc@bherc.org. Facebook: Art Director Tyreese Burnett and our Still Photographer Sainte DeLude collaborated on this beautiful Queen Victoria’s Wedding poster.